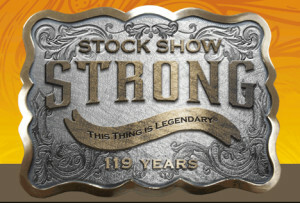 2016 Stock Show season is right around the corner! Save the dates and make plans now to attend a stock show event near you— the 2016 Stock Shows are a must-do for you and your whole family! If you’re showing this year, let J&N Feed and Seed get you ready for the big day. We’ve got show feeds by Lindner, Moorman & Honor Show Chow and supplies from Sullivan Show Supplies. We’ve also got shavings, blankets and everything else you need to win big in the ring! Let your friends at J&N Feed and Seed help you raise a winner this year. And to all the exhibitors, GOOD LUCK! This entry was posted on Sunday, January 3rd, 2016 at 10:38 am	and is filed under News & Updates, Show Chow. You can follow any responses to this entry through the RSS 2.0 feed. Both comments and pings are currently closed.